If you liked this show, you should follow Fantasy Doctors NBA Podcast. 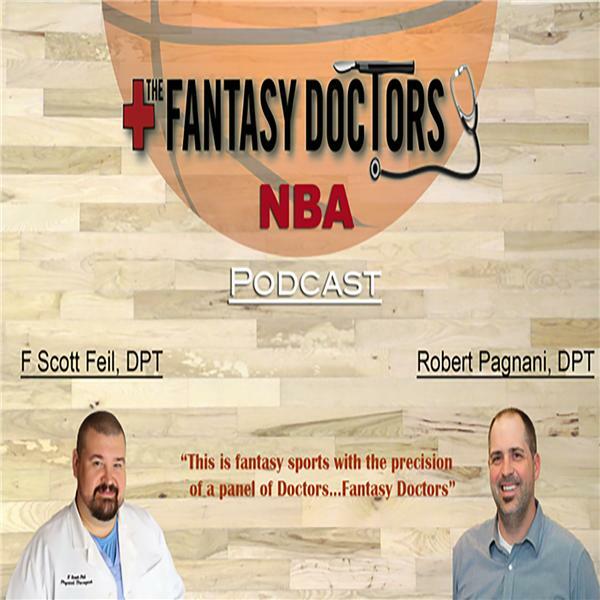 The Fantasy Doctors NBA Podcast is an informational podcast hosted by doctors of physical therapy-Dr. F Scott Feil and Dr. Robert Pagnani who both share a love for the NBA and Fantasy Sports. With a combined 20 years in the practice of sports and orthopedic rehabilitation, their mission is to bring the most recent and up to date information about all things injury related in the NBA and how that affects the teams as well as fantasy lineups. In this last episode of the season, the guys recap all of the major injuries in the NBA this year. Including Gordon Hayward, Kristaps Porzingis, Kyrie Irving, Boogie Cousins, Isaiah Thomas, Kawhi Leonard, & Mike Conley. The guys also break down their top 3 targets in next years fantasy drafts. Lastly, they break down their picks on which lottery picks they feel will have the most impactful rookie seasons. Listen in!